"Basketball Top Stub Personal Checks" product is already in your cart. 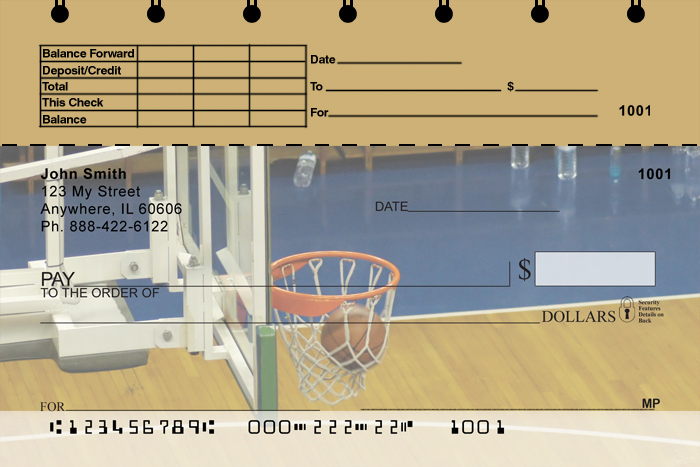 Basketball Top Stub Personal Checks feature four close-up images of the sport in action while also enhancing the equipment involved. Basketball is one of the worldâ€™s most popular and widely viewed sport.